The Jam basketball system includes our heavy 11ga. 4"x4" post design that eliminates the risk of joint deterioration common with sectional type posts. Our spring-aided EZ-Crank™ allows effortless rim height adjustment anywhere between 10' and 7'. The rim height indicator located on the back of the unit accurately shows rim height. All Jam packages include a breakaway goal and a net. 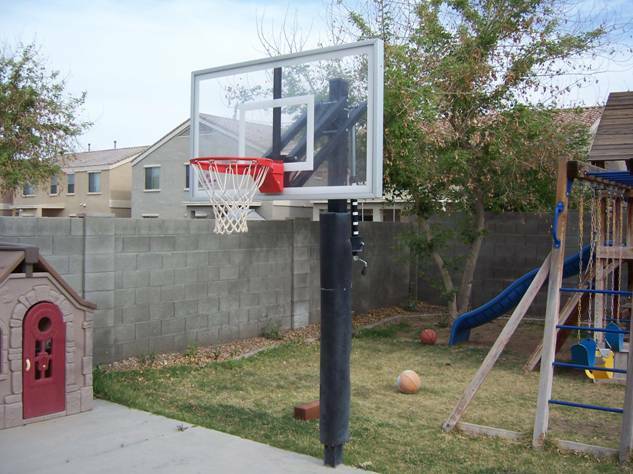 A variety of acrylic backboards are available, ranging in size from 36"x48" to 36"x60". 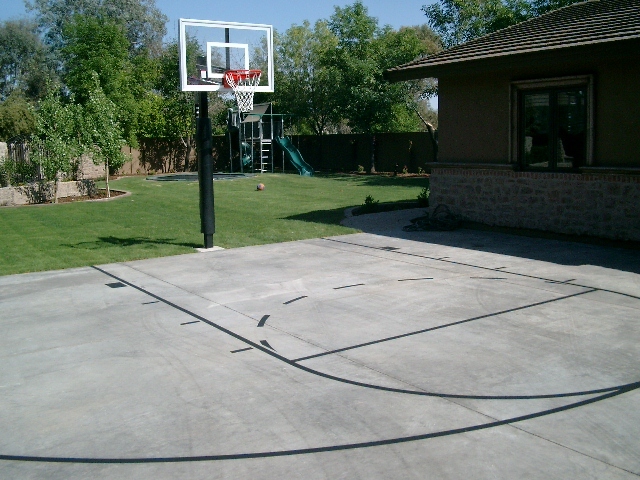 Choose the package that best suits your court. For additional safety, pole padding and backboard padding can be added to any Jam package. 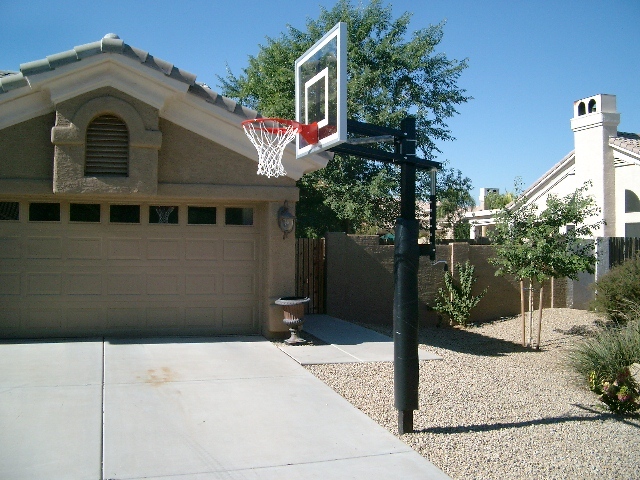 To order one of our products, or to receive more information about it, feel free to contact us at 602-AZ-HOOPS (602-294-6677) or via the web by clicking here.